This session will discuss the involvement of Native American tribes in the consultation process under Section 106 of the National Historic Preservation Act. The panel includes representatives from federally-recognized tribes, state tribes, state agencies, and federal agencies who will discuss tribal involvement in the Section 106 process, using case studies to highlight the ways in which consultation is enhanced by input from both federal and state native peoples. 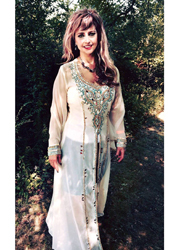 Judith Joan Sullivan is a lawyer and president of a volunteer organization called Ramapough Conservancy, Inc. Ramapough Conservancy preserves land, renovates historic structures and helps the community in connection with any issue regarding the land. Her charity has discovered 23 new archaeological sites in the past four years in the Ramapo Mountains through her work in preservation. 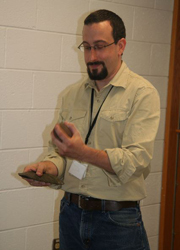 Gregory Lattanz is Curator/State Archaeologist for the Bureau of Archaeology & Ethnography at the New Jersey State Museum in Trenton, New Jersey. He obtained his Bachelor’s degree in Anthropology from the State University of New York at Binghamton. He went on to earn a Master’s degree in Anthropology from the City University of New York, Hunter College, and in May 2013 received his Ph.D. from Temple University. Before working at the New Jersey State Museum, Dr. Lattanzi was employed at a number of contract archaeological firms in the northeast participating in excavations in New Jersey, New York, and Pennsylvania. He has published a number of articles, book reviews, and given public presentations. His current research involves different projects, including the role of copper during the Early to Middle Woodland periods and Middle Woodland Abbott zoned ceramics and their implications on social organization in the Middle Atlantic region. 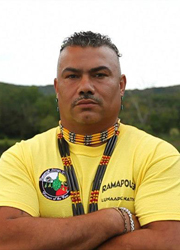 Chief Vincent Mann is chief of the Turtle Clan of the Ramapough Lenape Indian Nation. He recently won the Russ Berrie Award for his work on preservation of land issues in the Ramapo Mountains. in archaeology have broadened professionals’ view of Native Americans and their landscapes in New Jersey, the importance of public archaeology to a project and overall education, and the practice of preserving, maintaining and presenting material culture in museum and collections. 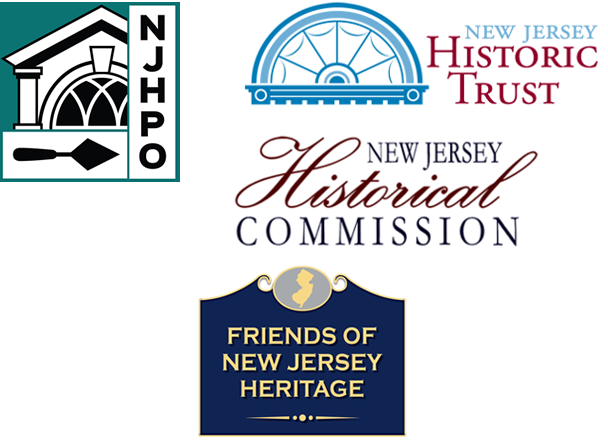 Vincent Maresca III is a Senior Historic Preservation Specialist with the New Jersey State Historic Preservation Office. 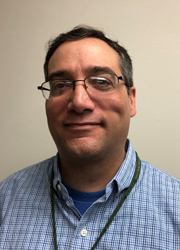 Mr. Maresca has worked in a professional position at SHPO since 2007 including project reviews under the New Jersey Register of Historic Places Act, Section 106 of the National Historic Preservation Act, Land Use Regulatory Program permitting, and Executive Order 215. He monitors NJ SHPO’s easements, developed NJ SHPO archaeological GIS database, NJ SHPO representative for the D&R Canal Commission, NJ SHPO representatives for the Division of Natural and Historic Resources’ Land Management review program, and below ground reviewer for multiple federal agencies. Wayne McCabe has resided in Newton for the last 44 years, and has a career in historic preservation and community planning that spans almost 50 years. His degrees are in rural, city and regional planning, with a concentration in historic preservation. He began work for the Delaware County (NY) Planning Board in the late 1960’s and subsequently worked for the Department of Community Affairs, the Plainfield City Planning Department and the Sussex County Planning Department. He has owned and operated a consulting firm specializing in planning and historic preservation since 1980. He taught for 13 years at Drew University in the Historic Preservation program, has 12 books on Sussex County history to his credit, and writes a weekly column for the New Jersey Herald about county history. Mr. McCabe presently works at Waterloo Village for the State Division of Parks and Forestry, has served as the official Historian of Sussex County since 2004 and is in his fifth year as President of the Sussex County Historical Society. He has also served as a consultant to 18 municipal historic preservation commissions. Matthew S. Tomaso, M.A., RPA is a New Jersey native whose career has straddled applied and academic aspects of archaeology. His degrees are in anthropology and the earth sciences. 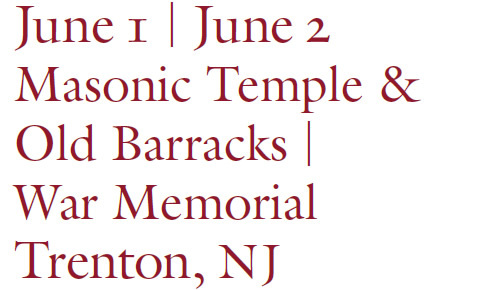 He returned to New Jersey in 1997 to start an interdisciplinary program focused on archaeology and cultural resource management at Montclair State University, where he taught full-time in various departments until he dropped to part time teaching in 2005. Over his 30+ years in CRM and the academic world, Mr. Tomaso has published and presented dozens of peer-reviewed scholarly articles, conference presentations and sessions ranging from the history of archaeological theory to analyses of prehistoric stone tools and the geomorphology of archaeological sites to the social history and archaeology of the “deserted village” of Feltville in Union County’s Watchung Reservation. 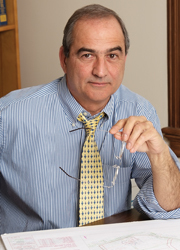 Mr. Tomaso founded and directs PS&S’ cultural resource management practice. He serves as an advisor to the Society for American Archaeology’s Awards Committee for Cultural Resource Management, is a member of the New Jersey Historical Commission New Jersey Studies Journal’s editorial board, and has been a member of the Archaeological Society of New Jersey’s executive board for most of the last 20 years. Richard Veit, Ph.D. is Professor of Anthropology and Chair of the Department of History and Anthropology at Monmouth University. Rich is a North American historical archaeologist whose research focuses on the Middle Atlantic Region between the late 17th and early 19th centuries. His work focuses on commemoration, symbolism, vernacular architecture, and military sites archaeology. He has authored or co-authored numerous articles and reviews and eight books including Digging New Jersey’s Past: Historical Archaeology in the Garden State (Rutgers Press 2002), New Jersey Cemeteries and Tombstones History in the Landscape (co-authored by Mark Nonestied, Rutgers Press 2008), and New Jersey: A History of the Garden State (co-authored with Maxine Lurie, Rutgers Press 2012). 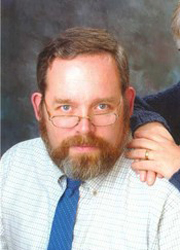 In 2007 he was the recipient of Monmouth University’s distinguished teacher award. 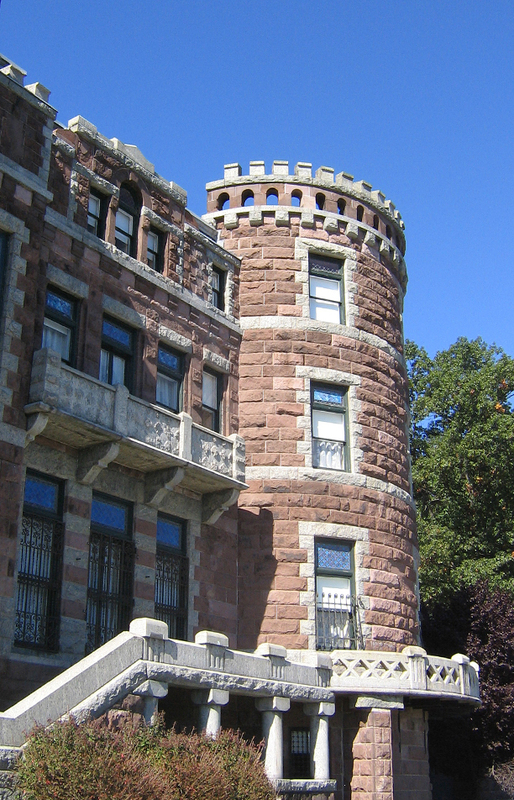 He regularly presents on topics relating to historical archaeology and New Jersey history and has been a TED speaker. This session addresses the impact of climate change and sea level rise on heritage resources and explores methods for addressing flood vulnerability in historic settings and districts. Our panel includes local experts in the fields of policy, preservation, design, and resiliency planning. They will demonstrate what steps are or are not being taken at the state and municipal level to address environmental impacts on historic resources and introduce practitioners of both policy and preservation to insightful approaches to better integrating cultural resource protection in vulnerability planning. Samantha Kuntz is an Architectural Historian for AECOM Technical Services, Inc. She began her career with AECOM working on the Disaster Planning for Historic Properties Initiative in Monroe and Philadelphia counties. 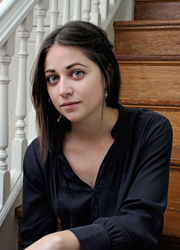 Her previous planning and preservation experience includes working for the Philadelphia City Planning Commission, the New Jersey State Historic Preservation Office, and PennPraxis. Samantha earned an M.S. 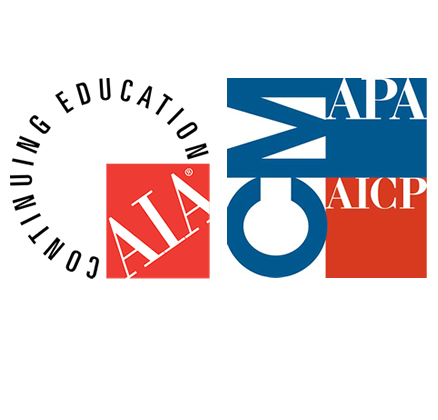 in Historic Preservation and a M.A. in City and Regional Planning from the University of Pennsylvania School of Design. Frank Banisch, President of Banisch Associates, Inc., has been a community planning and design consultant serving New Jersey municipalities since 1972. Mr. Banisch brings to the planning profession an architecture and design orientation and has focused his career in the areas of urban design, historic preservation and environmentally sound land management. Serving municipal and private clients across the State, he has prepared resource management tools to protect the State’s diverse natural and cultural resources and to shape development to promote land use compatibility and enhance the quality of life. Mr. Banisch holds a Bachelor of Arts degree in Architecture and Urban Planning from Princeton University. He is a licensed professional planner in New Jersey and a member of the American Institute of Certified Planners and has served as Vice President of the New Jersey Chapter of the American Planning Association. Mr. Banisch received a certificate of completion for his participation in FEMA’s National Floodplain Insurance Program Community Rating System course. Emily Paulus Everett manages the Preservation Planning team at AECOM’s Historic Preservation Group. 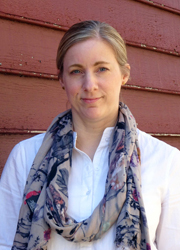 She has over 18 years of experience in historic preservation and community planning, including as Preservation Planner for the DC Office of Planning and the New Hampshire State Historic Preservation Office. Ms. Everett has authored National Register nominations and conducted cultural resource surveys, rehabilitation tax credit reviews, and Section 106 reviews throughout the Mid-Atlantic and New England regions. Ms. Everett’s public-sector work focused on applying preservation tools such as historic resource surveys, conservation districts, preservation easements, demolition review ordinances, design review ordinances, rehabilitation tax credits, and the Certified Local Government program to local preservation successes. In her more recent private-sector work, she has served as Principal Investigator and Team Leader on numerous historic preservation studies and reports, including two innovative flood vulnerability assessments of historic resources in Pennsylvania. Jeanne Herb of the Rutgers University Bloustein School works to advance sound environmental, sustainability, and Health in all Policies practices at the state, local and regional levels. Among other responsibilities, Jeanne co-facilitates the New Jersey Climate Adaptation Alliance, a network of organizations focused on advancing climate change and resilience policies and practices in New Jersey. 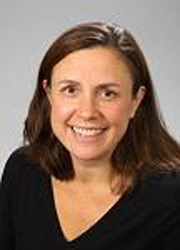 She serves as the Co-Lead for stakeholder engagement of the Rutgers Coastal Climate Risk and Resilience Training Program and she is part of a team of practitioners and researchers that have integrated science into decision support tools to support resilience planning in New Jersey. As part of these efforts, Jeanne works with a team of Rutgers researchers and practitioners to bring evidence-based resilience planning strategies to planning, policy and decision-making at the state and local levels. Prior to joining the Bloustein School, Jeanne was the Assistant Commissioner for Policy, Planning and Science at the New Jersey Department of Environmental Protection (NJDEP) where she led cross-program efforts related to climate change and energy, Environmental Justice, smart growth and sustainable development, environmental health and science policy and coastal management. Earlier in her career, Jeanne was the Manager for the Public Policy Program at the non-profit Tellus Institute, founding Director of the New Jersey Pollution Prevention Program and oversaw risk reduction and risk communication efforts at the NJDEP. Jeanne is one of 50 participants selected to participate in the first cohort of the Robert Wood Johnson Foundation’s national three-year Culture of Health Leadership Program and in the second cohort of the two-year Rutgers Leadership Academy. 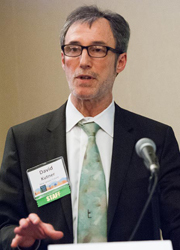 David manages New Jersey Future’s planning initiatives and is responsible for the organization’s outreach and assistance to municipalities, with a special focus on coastal communities vulnerable to sea-level rise. For the past 4 years David has managed New Jersey Future’s Local Recovery Planning Manager program, providing ongoing and direct assistance to municipalities seeking to rebuild from the devastating damage of Hurricane Sandy. His work has focused on helping communities recover from extensive storm damage but also encouraging them to consider the implications of projected sea-level rise and how they might plan for and respond to the challenges of impending flood inundation risks due to a changing climate. He is a licensed professional planner with more than 30 years of land use and environmental planning experience. 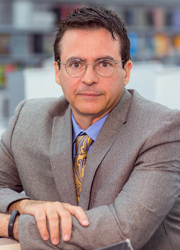 He has worked as a private planning consultant and held positions in local, county, and state planning agencies in New Jersey, Massachusetts, New York, Pennsylvania, and Florida.